Christmas lights are up! Now is a great time to get in the holiday spirit. These stunning light displays are a great weekend trip with your family. This a fun, and free event, that is great for the family. Deck the chairs is located in Jacksonville beach where you will have the chance to decorate lifeguard chairs in various holiday themes. Jax Illuminations is located at the Morocco Shrine Center. This will include 500,000 lights that will be in tune to holiday music on your radio. Jacksonville Zoo & Gardens will be having their annual ZOOlights where you are able to watch thousands of LED lights transform the zoo. This will include moving sculptures, forests of lighted trees, and animal silhouettes. Atlantic Beach Christmas is in the Ocean Walk neighborhood. This is a great show on the cul-de-sac. The show will include 40,000 lights set to holiday music. Thanksgiving is getting close and that means it is almost time for pie! Go outside the box this year and make a new Thanksgiving pie for your family to enjoy! This sweet-tart pie is made with fresh cranberries and Granny smith apples! The chocolate delight is topped with whipped crean and chocolate shavings. This easy pie is the perfect choice if you are in a rush! Get a super creamy pie with this peanut butter pie. Add some texture with cut peanut butter cups and peanuts! 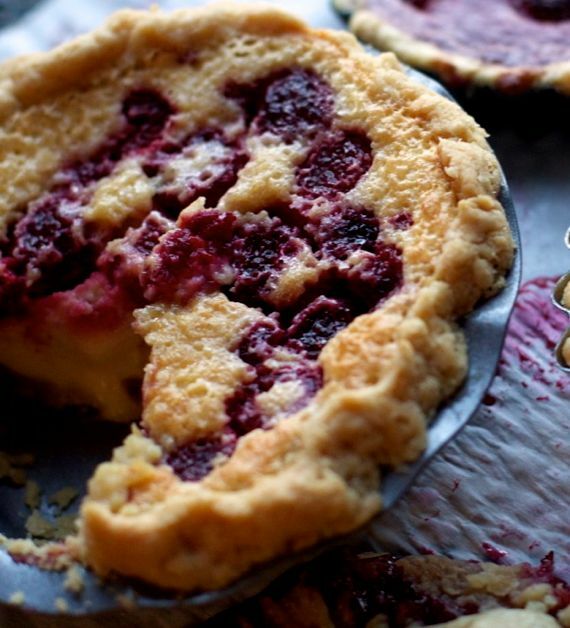 Raspberry is going to give you the sweet contrast to the tart filling that is inside this pie! October is a busy month and sometimes we all forget to plan! Halloween is a few days away and if your like me, you haven’t decided on what to wear. These are some last minute ideas for your Halloween costume! If you have little time to go shopping for a costume, try being an emoji! These are simple costumes and you probably already have the clothes in your closet. This costume is also great to do with friends or a group! Harry potter is a cute an easy way to dress up your kids and their friends! If you are crammed for time, try just doing a black cape, wand, and glasses. You will save time and still have an adorable costume. Minnie Mouse is a classic costume that you can never go wrong with! This costume can be easy if you have some Minnie ears. Use any red and black clothes that you have or even a red dress if you do not have time to create a polka dot skirt. Anybody can use the nerd costume as a last-minute look! Grab a calculator, glasses, and some baggy clothes and you are set to go! This is also a cute idea to do with your family or a group of friends. Dress up or dress down the skeleton costume! Use a white t-shirt to create a custom last-minute skeleton shirt. Create a rib cage illusion and add some black and white makeup to tie together the costume. Keep your home as festive as you are with small Do- It-Yourself crafts to bring fall inside. Little changes to your home bring in the cozy feel and allow you to have a personal touch. This adorable little trick is great for decorating the bathroom. It is practical and adorable! All you must do is use fabric of your choice and wrap this fabric on the toilet paper to represent a pumpkin. Add finishing touches with a cinnamon stick and fake leaves to have the final look. This cute little trick is great to use on all your old mason jars. All you need for this project is mason jars, leaf stickers, paint, and some ribbon. Use the leaf sticker on the mason jar and paint the surrounding areas. Pull the leaf sticker off and add the finishing touches of a ribbon and a candle inside. You now have an easy mason jar candle holder to accent your home! Great all your guests with a charming fall wreath. You can do a variety of arrangements to make this decoration stand out. Make this more personal for your family and add your last name initial with the flowers and ribbons of your choice! Add some burlap around your wine bottles that are on display to achieve a rustic, fall look. Throw in some velvet ribbon and some writing of your choice to make this a custom item in your home. You can make this extra unique by adding your initials! Increase your home value with these small tips that will help you enhance your home and prevent your home from losing any value! The exterior of your home is the first thing that anyone is going to view. Improve curb appeal with bright, full plants. Make sure trees and bushes are kept up with and look presentable. Improve your curb appeal as well by cleaning the driveway from stains and keeping the grass cut. Keep your home nice and clean. Keeping up with the daily cleaning will avoid stains, rust, and other issues that can occur overtime. This is allowing you to have a nice and clean home but also helping you in the future by keeping the home spotless. Make your home feel and appear larger by letting in all the natural light that you can. The natural light will give you an illusion and allow your home to seem more desirable. 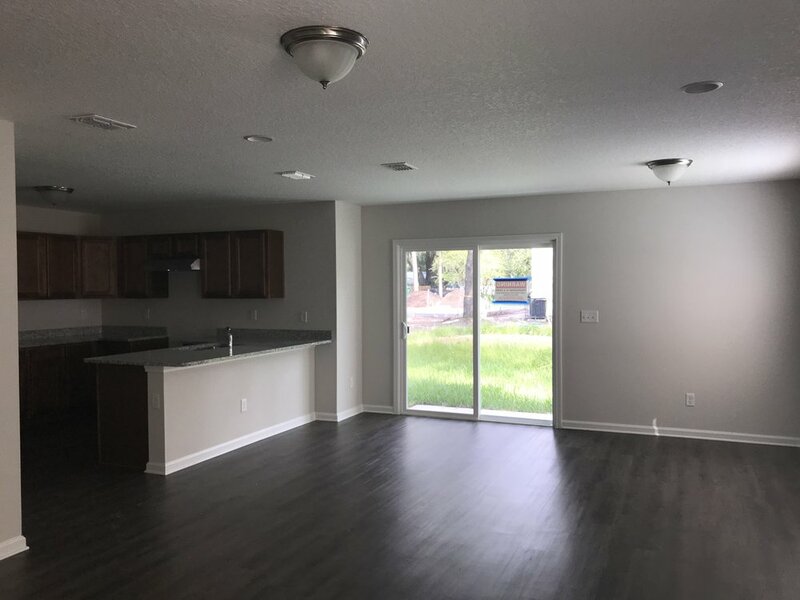 Everyone loves a nice open layout home and this natural light enhances it. Try shear curtains or thinner material so more light is seen instead of hidden. Also, try and leave the blinds open. Paint your home with neutral wall colors. Neutral wall colors have a better resale value. Someone viewing the home can picture themselves in it more with neutral colors. They want to envision their furniture and not focus on a bright wall color. Dress up the exterior of your home with a fresh coat of paint. Nothing enhances a home more than fresh paint. The paint is giving the illusion the home is newer or renovated. This is also attracting them to the outside of the home and not being turned away by fading paint. The kitchen is the one room in the home that buyers pay the closest attention to. Most of your time is spent in or near the kitchen. Buyers are looking for a new and updated kitchen that they can see themselves in. Try to keep this room as updated as possible. Spare bathrooms are always a great addition in every home, yet we are not used to the lack of space that they have. These hacks will allow you to take advantage of all the space you have and all the space that you didn’t think you could use. Baskets do not only have to be cluttering the counter and the floor. They make a cheap and excellent way to make your own floating shelves. They are great to use for extra supplies and hand towels for guests. All you need is a few screws, anchors, and a basket! 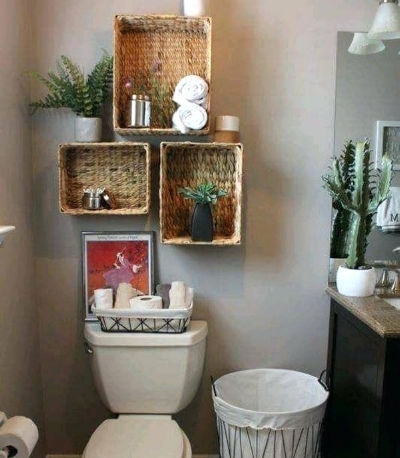 This bucket bathroom storage hack is one that you will want to use in every guest bathroom! You can change up the colors and ropes for different designs. This hack is also great to have straighteners, curlers, and hair dryers in, so the cords are not consuming the counter. Invest in a wraparound cabinet for those pesky spare bathrooms with no storage! This hack is an investment but will maximize the space you have. This is also allowing you to have a more completed bathroom look. Make use of all the extra space! 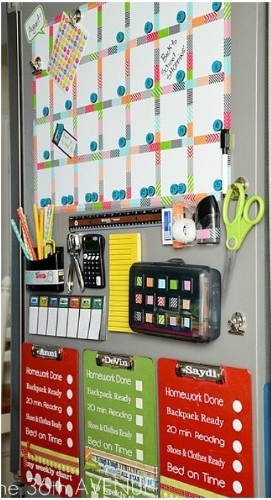 Use extra organizers to attach inside cabinets. 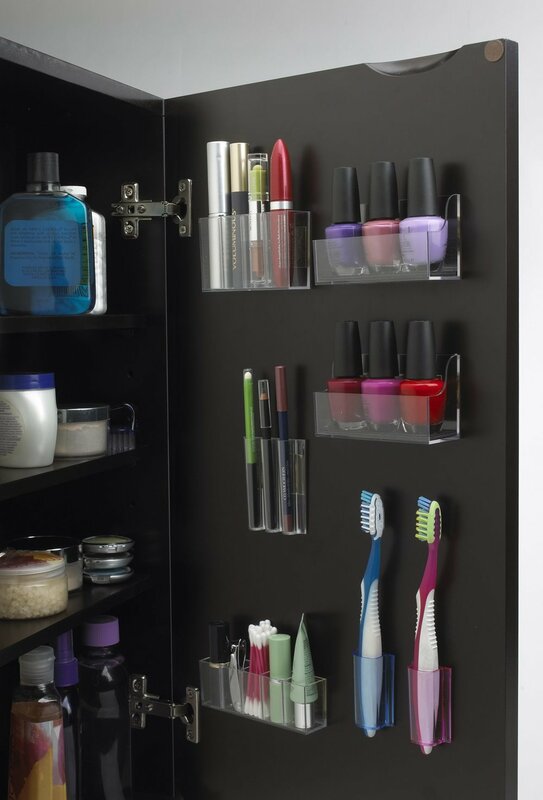 This is allowing you to store toothbrushes, makeup, and anything else you need. Storing these items on the cabinet door is also allowing you to declutter your counter. Use a shelf under the mirror to maximize the space. This hack looks great with any design and is allowing use to utilize all the space you can. Using the shelf will also reduce everything cluttering and falling off the sink ledge. It may not feel like fall outside but fall is here! It is almost October and in Jacksonville we are preparing all the fall events. all things fall are here from pumpkins to mazes. These are a few of the events happening soon if you are in the search of fall activities! This activity is for kids all ages and with one ticket you will receive unlimited access to the maze and the chance to pick a pumpkin. This even also included farm festival foods, wagon rides, haybale maze, and farm animals. This celebration is for all things pumpkin! They will have special pumpkin beer and farm activities as well. This event has a beer garden, live music most of the day, and special releases of their pumpkin beer! Julington Creek fall festival at KinderCare! This is a free event for your kids! They will have face painting, a petting zoo, bounce house, games, and more! This event is a trick or treating in a child friendly environment with horses, train rides, petting zoo, photo opportunities and more! Haunted Train at Connor’s A-Maize-ing Acres! 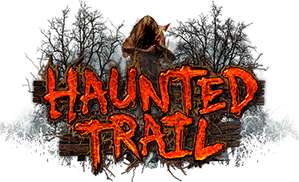 This is a spooky event for you to wander through the haunted trail that they have to offer! Halloween Trick or Treat and Monster Mash! Don’t worry, we did not forget the trick or treating! This event is a safe family are that hosts this annual event. Everyone gathers for the famous trick or treating! Hurricane season is already here, if you do not already have your supplies this is the time to start! Make sure you are prepared for the worst. Be ready ahead of time so when a hurricane does come, you have everything you need. Be sure to keep supplies in your home, car, and at work. You never know when and where a disaster will happen. Take a minute and view our developing neighborhood! Fall is here! The season is changing and so does your home. Centerpieces are all around your home and on every table during this season. Here are some ideas to change your centerpiece to be unique and represent fall. White pumpkins bring a fall and modern look all in one. Dress up the pumpkin with flowers and a quote. Use different colors and textures so the centerpiece is pleasing to the eye all around. Pine cones are a fantastic way to bring the outdoor feel on the table. This is going to add texture and a neutral color to your home. Pair pine cones with flowers and candles or a center piece. Pine cones are easy to find and to use in your home. Use different sizes and different colored flowers to make the centerpiece change in different rooms. Toss out your old and boring vase and trade it in for a pumpkin vase. Flowers are a great centerpiece and adding the pumpkin vase will bring the fall look to your table. Texture is a very important aspect to add into your home. Wood elements bring the fall and rustic feel. You can use wood candles and different centerpieces of wood for extra texture. Put metallic with the wood with the fall colors added in the home. Happy Labor Day Weekend! We all want to make the most out of the weekend and enjoy the extra day off. These are some ideas to make your weekend eventful and exciting. Enjoy the Florida sunshine and take a day on the water. Kayaks are an affordable way to make the day fun. Go to a nearby lake and bring some friends to kayak and paddle board. Bring a picnic with you and make a day out of it! This is a fantastic time to go visit the local winery's. They may have special events and offers for the holiday as well. This is a great way to spend free time away from the kids and relax! Go to a drive-in movie! Make this an adventure and different than a normal movie day. A drive in is a great way to relax with the family and not be in the typical theater. Check out what local games are happening in the area. Take the family to the game and make it an event. Support your local team and also take some time out of the house! Your child will grow like a weed, and change there mind just as fast. Their bedroom is going to change along with them. This can be a large decorating transition. Use these tips to make sure that you're getting the most out of the purchases you make and you are letting their bedroom grow with them. Most kids have a theme that they want to use in the bedroom, and as tempting as this can be it can also change like the wind. They will only be in that phase for such a small amount of time and that is a lot of money wasted. Try to accomplish the theme that they want but with only decorations and not themed furniture. This will allow you to reuse the furniture when they change there mind again. Cleaning up after your kids is an ongoing cycle that is never ending. Try and integrate organization into their bedroom. They will not have excuses to not clean up when you have so many storage places available to them. Use built in storage or different baskets in their bedroom. You want a work area for your kids to be creative but also to do homework when they get a little older. Set up a work area in there room and you can transition this to the different stages they are in. This is going to allow them to have a space that is quiet and they can focus. Purchase furniture that can be used for a long time. When buying a crib make sure this can be a large enough piece as they grow. Small cribs will be useless to you for how fast your child is going to grow. It is better for them to grow into the bed then grow out of it immediately. 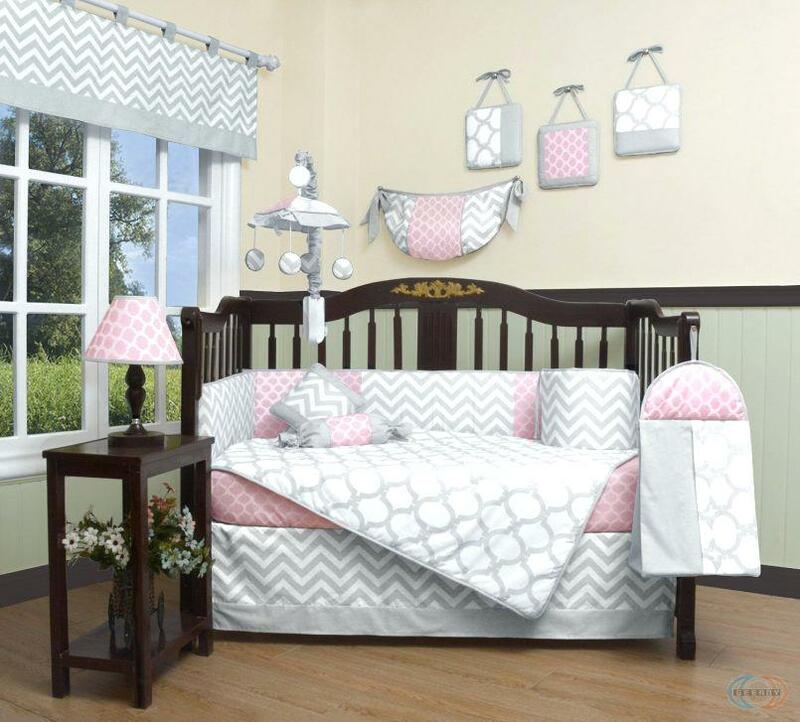 Try and purchase a transitional crib to save even more money. The exterior of your home is the first thing that all guests will see. Curb appeal is very important and you want to ensure that your home will reflect yourself in a gorgeous way. These are small upgrades that will enhance your home and the beauty of it's surroundings. Grouping potted plants on the front steps and patio will add extra charm to your curb appeal. Try to add potted plants in various ways such as hanging plants, different pots, or even on the wall. You can also have colored pots to add a pop of color to your curb appeal as well. Try to change the flowers with the seasons for a new look. Your home is beautiful on its own. Try to let the home itself shine more than what is surrounding your home. Trim down trees that can be blocking the view of your home. Controlling the overgrown landscaping is so easy to do and will look stunning after. Try to keep the natural beauty of your home and the outdoors by keeping as many trees as you can and trimming down branches that will block your home. Pressure washing your home is a great way to freshen up your home. This is a quick and more cost efficient way to having a fresh curb appeal without the cost of repainting. You can also pressure wash your driveway so that your home really does stand out. Removing the excess dirt makes the property look brand new. 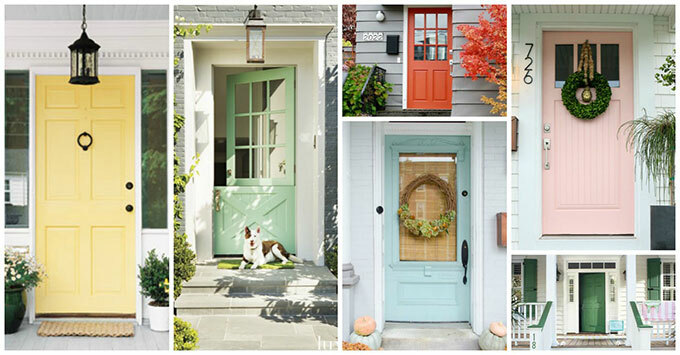 Add a pop of color to the curb appeal with a colorful front door. 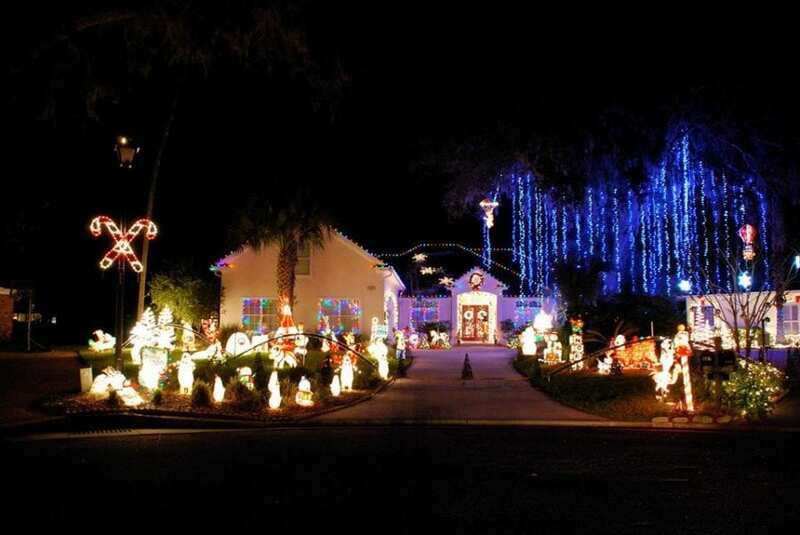 The cost is very minimal and this is going to draw attention to your home as the neighbors drive by. Stand out in your neighborhood with this idea! Splurge a little on this aspect and buy an adorable porch swing for your home. This is a cute addition that will give your home a country feel and will also be great to add extra seating for company. Don't be afraid of color! Embrace color and patterns of your home. Having a bold color on the outside is guaranteed to have attention brought to your curb appeal. You do not have to use neutral colors on a home, go bold and see the outcome of a beautifully attractive home. The master bedroom is a room to represent yourself. This room is the largest task to redecorate. This space can also be one of the more expensive to re-do as well. Here you can find some ideas to freshen up your space without breaking your budget. Take your old furniture, or pick up some old pieces at a local Goodwill, and refinish it to your desired look. This is an inexpensive way to get a new bedroom set. Bed sets can be a major cost that we all do not want to add to our bills. Refinishing old pieces gives you a one of a kind look and saves you money as well. You can refinish the piece to be modern and add different handles and accents or you can distress furniture for that rustic look! 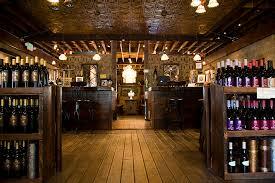 Wood reclaimed walls add texture, color, and a rustic feel to your room. This new trend can be on the expensive side if you do it a certain way. To save money on this beautiful trend try and do it yourself. You can get old pallets or old scrap wood to start. Stain the wood different shade or what you are aiming for. You can even paint them a solid color for a more modern look. Try and leave the natural distress and marking to add the rustic feel even more. This is a perfect accent wall that is beyond gorgeous. You can renew your master bath with new lights and finishes. Just changing the color of the finishes is going to give your bathroom a new look. If you have old gold handles and lighting try and replace them. This is a cheap fix and you can change the finishes to a beautiful bronze to enhance the room. Try to change the lighting in a unique way as well. Hanging an accent light will enhance the master. You can do a chandelier or an Edison bulb fixture. Freshen up the space with a new bed set. This can change the colors and make the bedroom have a fresh and new feel. This can be an inexpensive change as well. You can just change the comforter to a different pattern to have a new look. You can even do this on a smaller of a budget and get textured throw blankets and pillows on your bed you already have. These are easy to change and even cheaper to do. Decorations can be more of a cost than expected when you decide to redecorate. Use clear jars, containers, and vases for a modern look that will be cost efficient. You can change these with the seasons and have them include new decor inside. These are clean and sleek to make your bedroom elegant. Back-to-School means time to organize your home. You can be as prepared as possible for this time of the year, but your home needs to be as well. Make sure you have your house prepared for the change and clean out old items beforehand. This is your chance to start fresh! and any other important task! Pack school lunches early. Packing a lunch every day saves money and you also know your child is eating healthy. Prepare at night time so you have more free time in the morning to get yourself ready! Lay out clothes the night before. Plan all your outfits for you and your child the night before. This will cause less stress in the morning searching for an outfit. Take this time to throw out or donate items that take up space. Donate old clothes your child grew out of to make closet room for the new items. Do the same for shoes that may have accumulated as well! Toss out old pencil stubs, last year's notebooks, dried out markers, broken crayons, old binders, and agendas. This is going to help clear space in your home for the new supplies that is to come! Your back patio and backyard is a place for barbecues, birthday parties, and family gatherings. We all spend a lot of time outside making memories with our loved ones. You want to ensure that this space makes all your guest feel at home, warm, and welcomed. You want to include furniture that is functional and decorations that are beautiful. Outdoor string lights bring sparkle to your space. These are great for evening events at your home. You have enough lighting to feel warm and cozy. String lights are also an elegant look on your porch. Edison bulb lights can make your room more artistic as well. Why have your garden just outside when you can keep it on your porch? 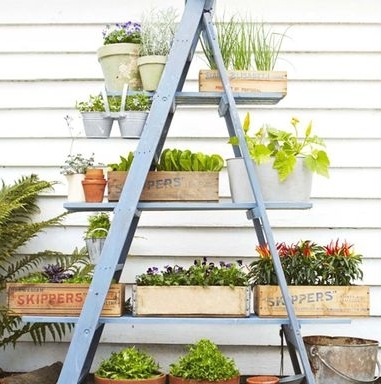 This functional ladder holds all the plants you want it to. This is great to grow herbs and spices. It is also a beautiful look and brings the outdoor feel on the porch. Outdoor seating is a MUST. You want to make sure that you have plenty of room for extra guests to be comfortable. Having an outdoor couch is a beautiful look with a few accent chairs. You can also have ottomans so that you are able to pull up extra seats if needed. An outdoor Pergola is an adorable way to decorate the yard and to have some extra shade. You can have this over your grilling area or over some seating with a fire pit. In the mornings this provides shade and you can add lights for the night time s'mores making!